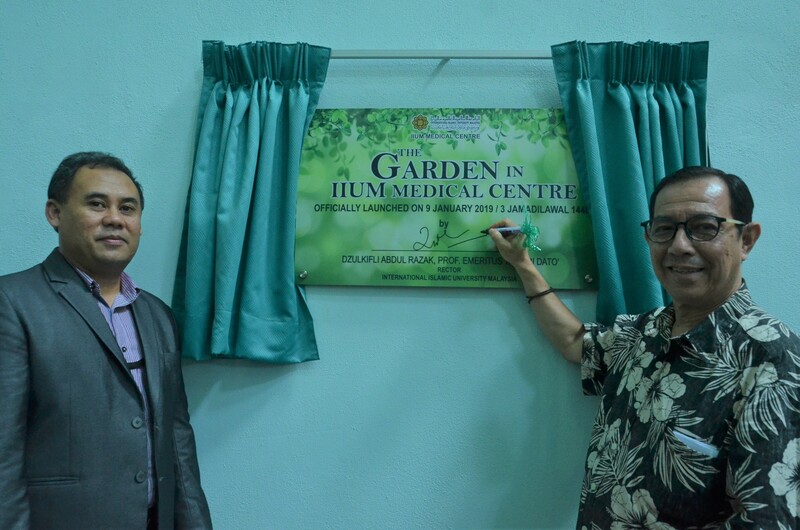 IIUM Rector officiated the "Garden" in the IIUM Medical Centre (IIUMMC) Kuantan. 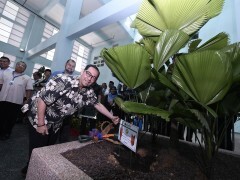 IIUM Rector, Emeritus Prof. Tan Sri Dato Dzulkifli Abdul Razak officiated the "Garden" which was set up in the IIUM Medical Centre (IIUMMC), Bandar Indera Mahkota, Kuantan. 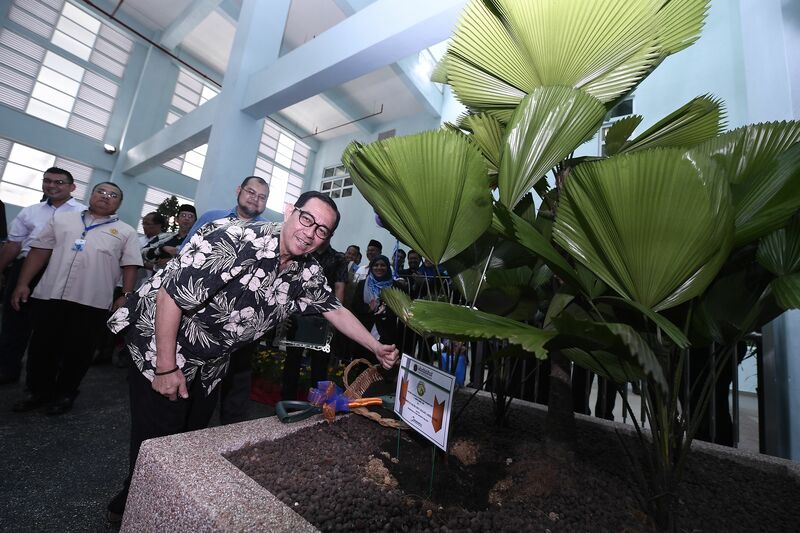 Officiated an indoor garden created within the IIUM Medical Centre (IIUMMC) Bandar Indera Mahkota during his visit. In line with the Government's Green Campaign and the University's Go Green campaign, IIUMMC has taken the initiative to actualise the agenda by creating this indoor garden. In the event, four saplings were given by Clinical representatives, administrators and concessionaires ( PenMedic Sdn Bhd and AdvancedPact Sdn Bhd) to the Director of the IIUMMC, Associate Prof Dato Dr. Mohammed Saufi Awang as a symbol of their support for IIUMMC's Go Green initiative. According to the Rector in his speech, this is one of the best initiatives, which is to create a garden within the hospital building. "When it comes to the garden, it helps to heal the patient as a garden is one of the places that can be used as a natural therapy area." "This initiative should be supported so that more areas of the park can be expanded and support from outside parties is greatly appreciated in making this initiative a reality". He added. 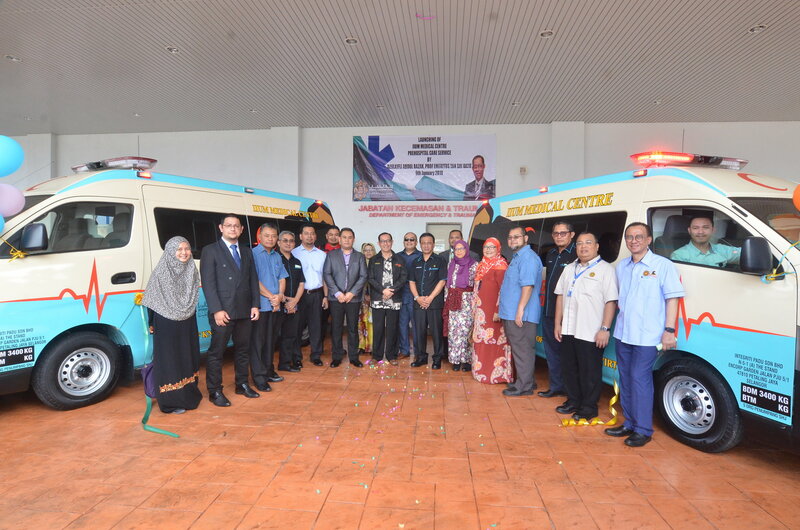 In the same event, the Rector launched two ambulances equipped with the latest medical equipment, with these two ambulances it is hoped that better treatment can be performed in the vicinity of IIUM and around the hospital itself. Also present during the launching ceremony was the Head of Department of Emergency and Trauma IIUM Medical center, Dr. Aida Nur Sharini.